Inspired by the paper-art of Origami, the Oru Kayak can be folded from a compact box to a boat in just minutes. Despite its functionality the Oru also looks great. At the moment Oru has 3 different models on sale. See more here. In a world where Apple Iphones and Samsung Galaxy’s rule the smartphone market sometimes, a for some people, unknown company introduces somthing really innovating. Xiaomi is one of the leading Phone manufacturers in China. 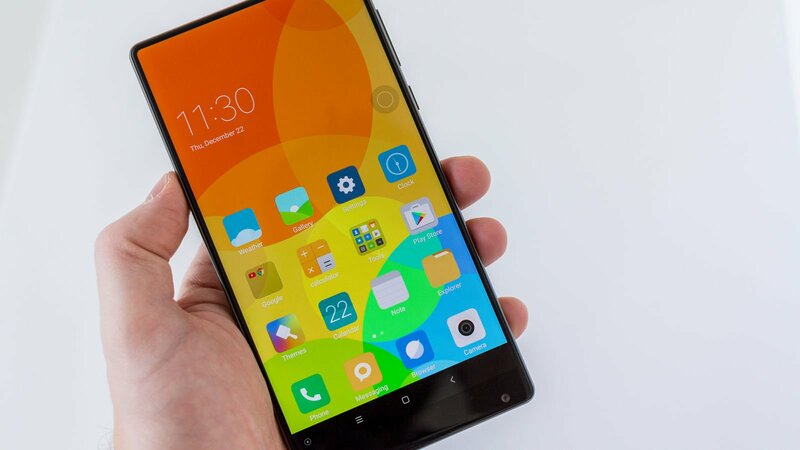 The Xiaomi Mi Mix is a 6.4 inch phablet with a 3 sided bezel-less screen. But the real innovation is within the Phone. The glass screen acts as an ear-piece due to a speaker that resonates the glass from below. The optical proximity sensors you find in most phones is replaced by an ultrasonic one and can therefore also function from elow the screen. Check it out here! 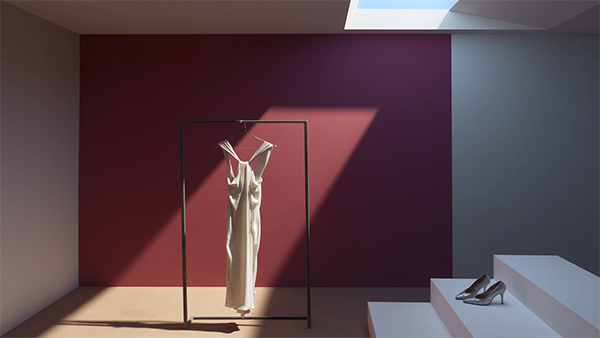 Coelux is an optical solution with nano technology that artificial reproduce the natural light from the sun and sky, making for example an earthscraper with no windows possible. See a video here. I was amazed by the design of this house. 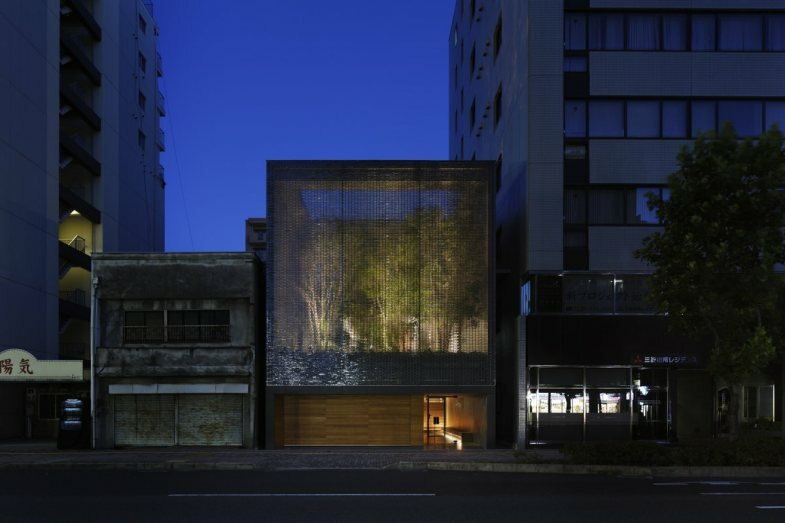 The glass wall in front of the house shelters a garden from the busy streets. See more here. 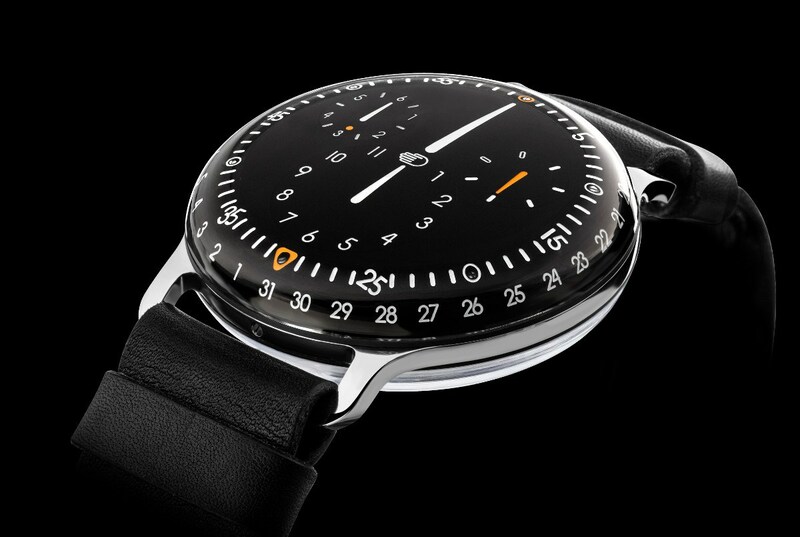 The Ressence Type 3 is a odd looking mechanical watch. The way how the movement works is different from anything I have ever seen. The exterior of the watch is made of titanium with a sapphire crystal case. The watch case is filled with a fluid so you see almost no distortion through the domed sapphire crystal. There is also no crown on the Type 3 for a pure minimalist appearance. You set the time by rotating its back cover. The only thing that I dislike is the price tag on this one. 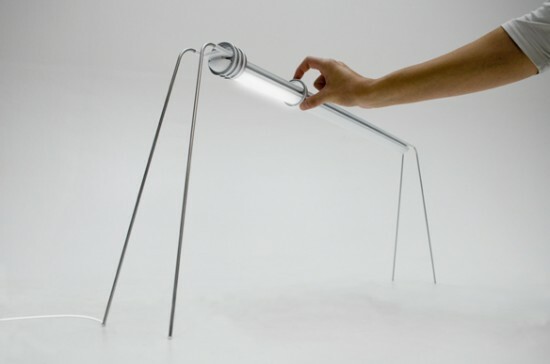 Have a look at this intuitive desk lamp from Dreipuls. You can slide the rings on the lamp, to turn the 56 led lights on or of individually. You can slide the lights on as if you open a curtain, how cool! 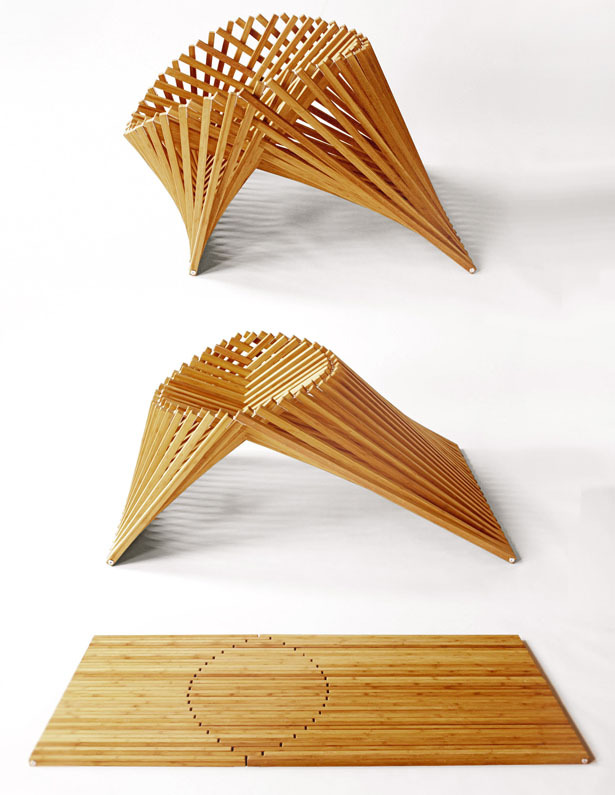 Artist Klemens Torggler designs extremely cool and special doors. His door designs are futuristic and unconventional. On the picture above you see his Evolution Door. You can see a video of that door by clicking here. This is the most intuitive power outlet I have seen thus far. 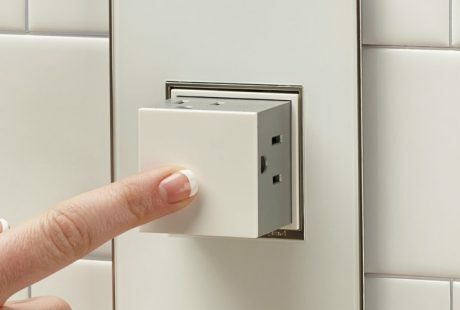 The Adorne Pop-Out™ can replace your current power outlet. At first the Adorne power outlet is hidden, but if you push it, it will come out. You can connect 3 of your devices on the top or the sides of the product. See a demonstration video here. Now only lasts the question: how long will this power outlet survive till the next thing comes up? A company like Powercast as an example, is already working on wireless charging. This is what you call a mobile home. Anderson Mobile Estates makes everything you wish for. They have even made a mobile estate with a record studio in it. 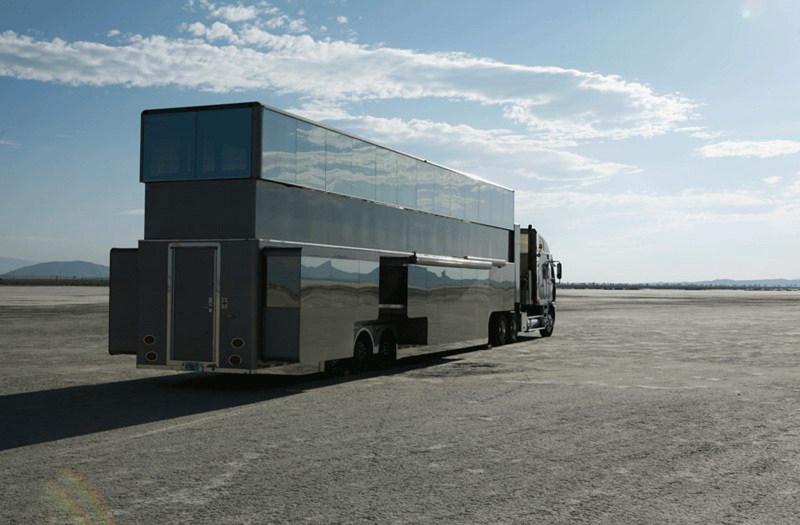 Anderson’s trailers can double their seize by extending the roof and walls. Next to that it is extremely good looking. I am only a bit worried about the price-tag on this one. It is not strange that Anderson’s mobile homes are usually populated by Film stars and singers.